First THANK YOU from the bottom of my heart to all the lovely people who donated to St. Jude Children’s Research Hospital. You’re all gems! And remember even if you didn’t win, you still can receive an 8×10 ($30 value) from a past session or a credit towards an 8×10 for a future session! Contact me for more information. As a reminder, anyone who donated AND posted on the blog were entered into the drawing. 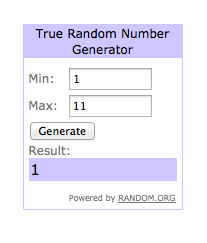 And the winner is comment #1, Stephanie Emmerich! Congrats lady! Email me at mindy@itsybitsycreation.com within 48 hours to claim your mini session otherwise I draw a new winner. And last by not least, wish me luck, as the Warrior Dash is this Sunday. I’ll need it. EEK! Photos will follow the race, unless I have to be carried out . 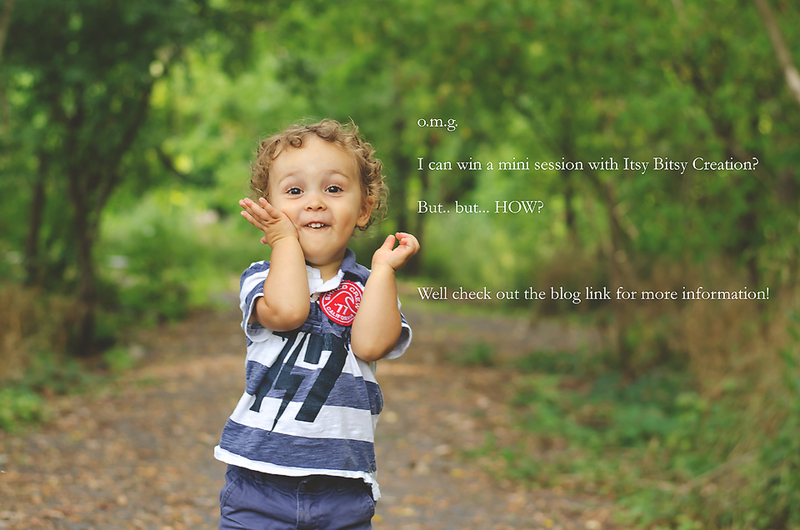 I can win a mini session with Itsy Bitsy Creation? Well as some of you know, I’ll be running/walking/crawling in the Warrior Dash in Windham, NY on August 12. I decided to be a St. Jude Warrior and raise money for St. Jude Children’s Research Hospital. So what does winning a mini session have to do with the Warrior Dash? If you donate using this link: YOU ROCK, your name will be entered into a drawing for a mini session ($200 value) with Itsy Bitsy Creation. Remember, every little bit counts. If you can only donate $5, that’s cool. You’ll still be entered into the drawing! After you donate to this great cause, please comment on this post with your email address. I will choose a winner on August 9th. If you do not comment on this post, you will not be included in the drawing. And don’t be sad if you don’t win, anyone who donates will receive an 8×10 ($30 value) from a past session or a credit towards an 8×10 for a future session! What does the mini session include?